Fabric and a black imitation leather crossbody bag. Made with great care. Its realization time is about 3 hours. 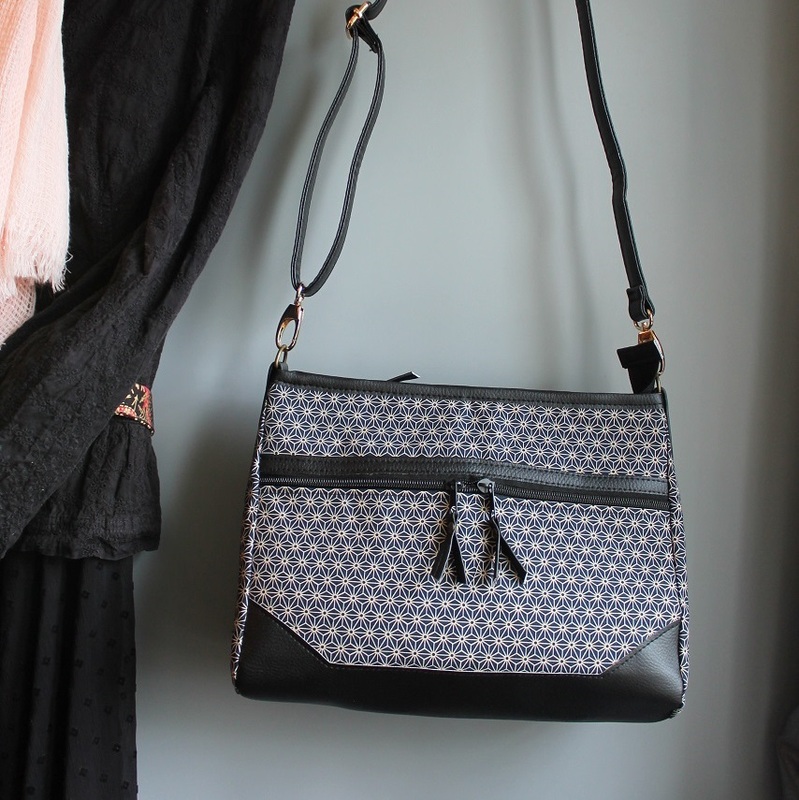 This stylish, functional and lightweight feminine bag is perfect for everyday use. 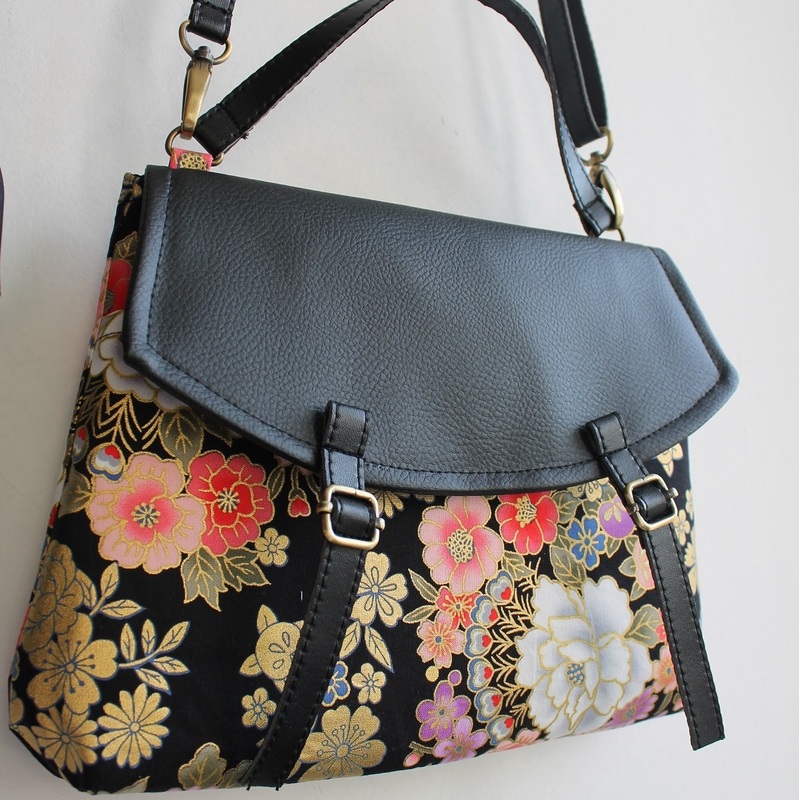 It has a zippered closure and a sturdy shoulder strap attached to two metal rings firmly attached to the bag. I usually use antic brass metal, but I can use silver metal as you with. 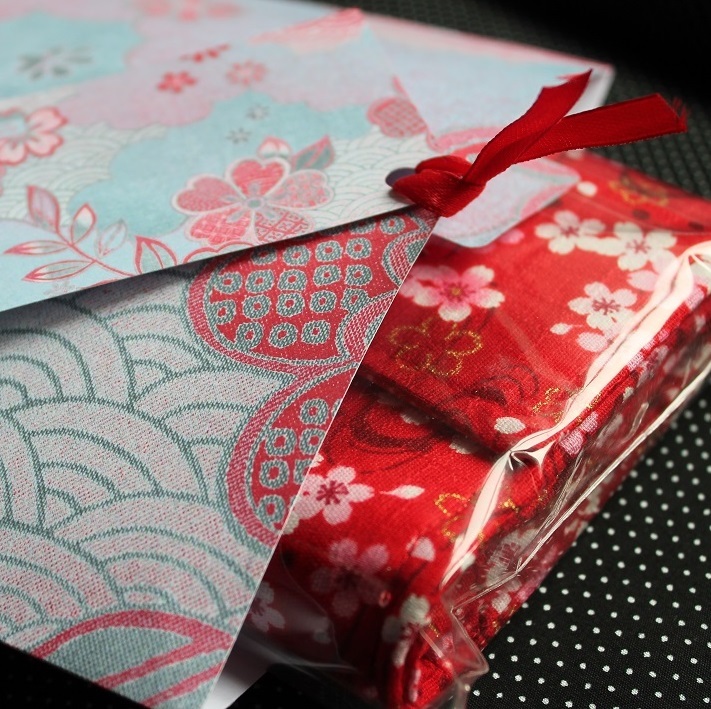 Very good quality fabric made in Japan, will be able to withstand the weather, even if it has been wet by the weather. The interior is spacious, has several pockets, ideal for wallets, A5 size paper books, telephone etc. It is lined with an internal reinforcement. It is neither too stiff nor too soft. It will retain its stability and endurance over time. If you want to put your tablet, I can add a few inches to the bag so that it fits in it. All you have to do is to ask me. I put a decorative knot in satin on the front, but you can ask me to remove it if you wish. Sheltered in my small workshop, I work alone, and take great care in the realization of your articles. I also do the after-sales service! So contact me if ever there was any problem. Exterior: Red, pink + black imitation leather. Several interior colors available, please choose from the options. The position of the prints may differ according to the articles. Inside zip pocket + 1 compartment for mobile phone or other stuffs. Adjustable shoulder strap with removable imitation leather black: 47 inches // 120 cm. This model for A5 size objects: wallet, paperback, smartphone etc. I take about 2 hours to make the bag and the shipment is within 48 hours maximum according to the number of orders I have to make. Cleaning recommendations: Soak in soapy water without rubbing, then rinse, and dry flat without squeezing. This product was added to our catalog on vendredi 29 juillet 2016.